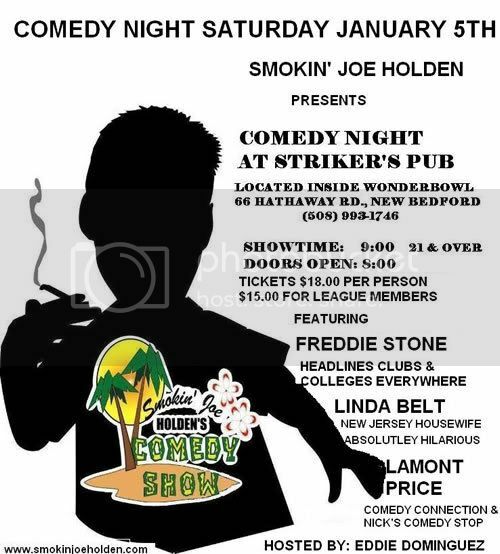 Freddie Stone is headlining this show. 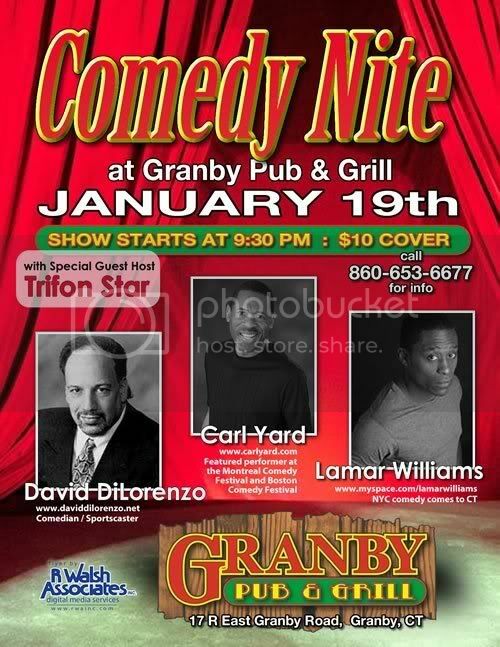 Back by popular demand, I'll be hosting. Feature and headliner TBA- save the date! 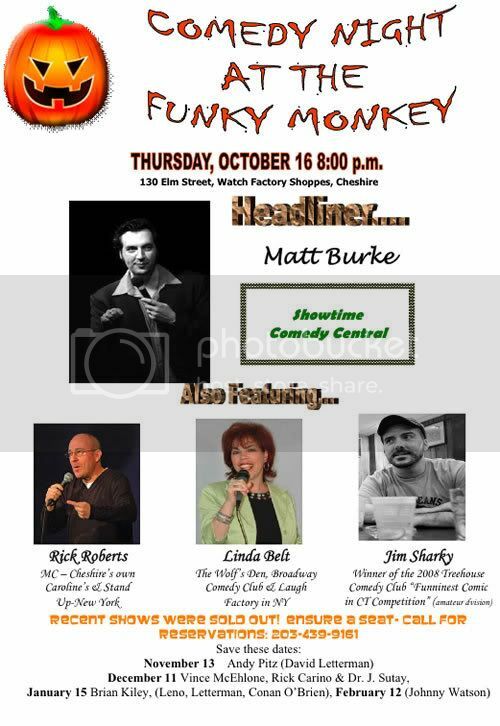 Rick Roberts presents this monthly show. Sounds fun as well as funky! "intimate" venue, please call ahead about seating. 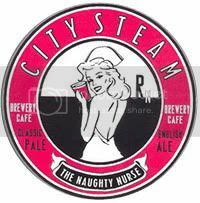 Please see Rob Steen's website for more details. 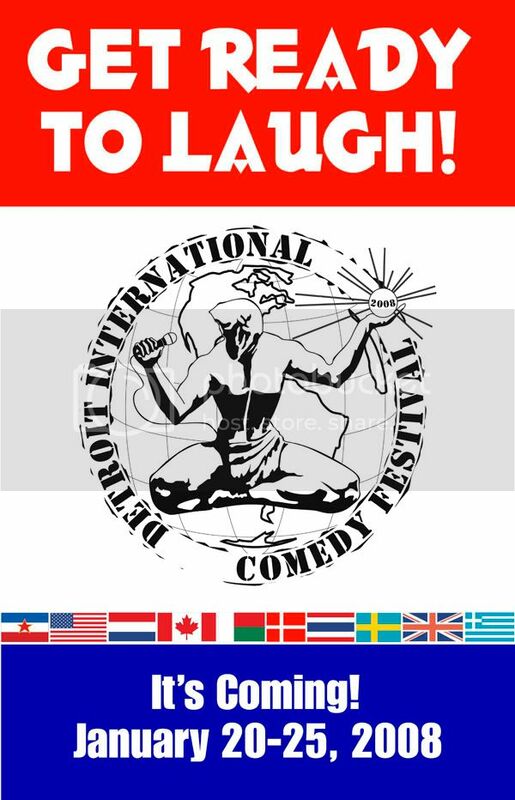 Women's Showcase/ Detroit Comedy Festival Please see show link for details! 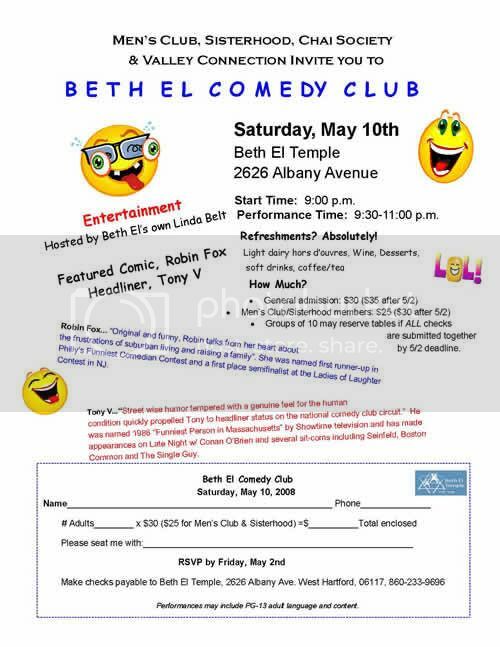 * Art Collette ticket and contact info. 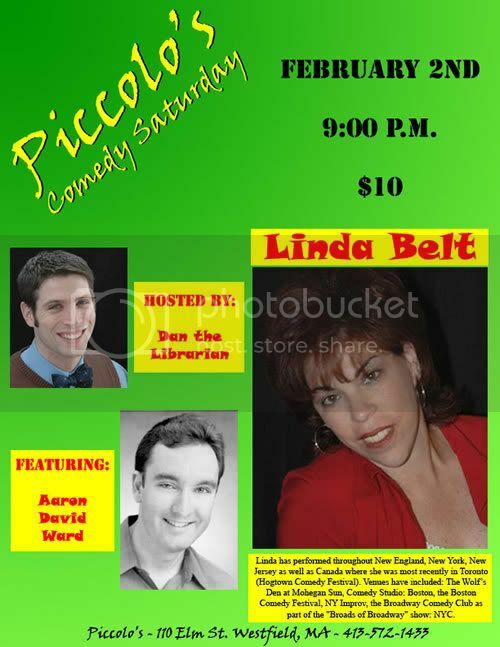 Valentine’s Day show also featuring Ted Stier and Darren Rivera. So what if you don’t have a date? Bring your laundry! 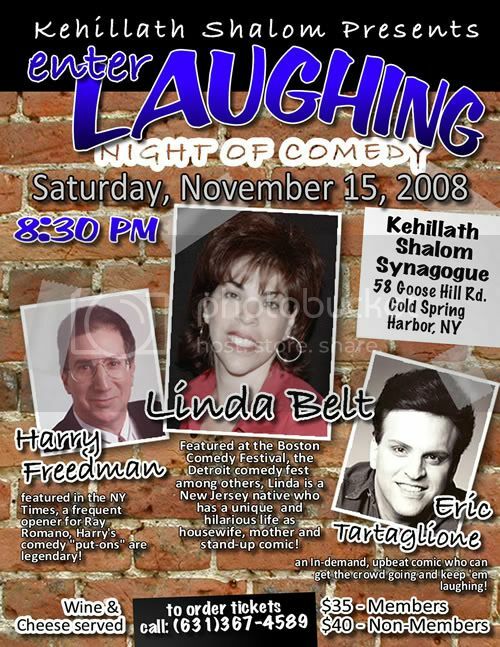 I'll be performing solo at this show- club material ( PG 13 of course) plus Jewish humor that I can never do in the clubs unless of course I want multiple moments of silence! 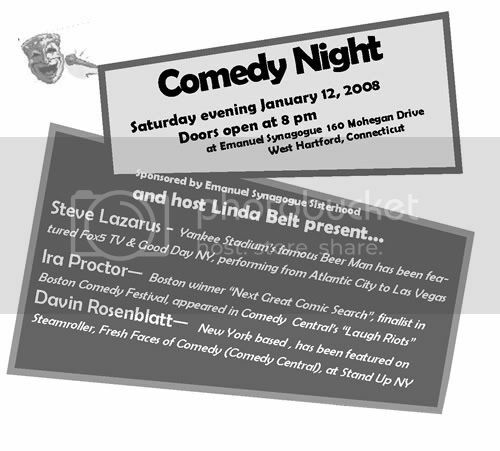 In conjuction with The Second City show Sat March 8th @ The Greater Hartford JCC- a Q&A session on a behind the scenes look at the world of Stand-Up comedy. 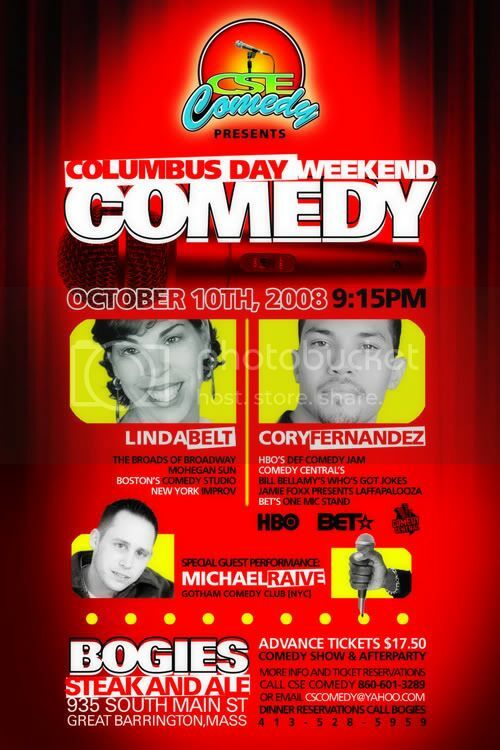 w/ the hilarious Davin Rosenblatt headlining. 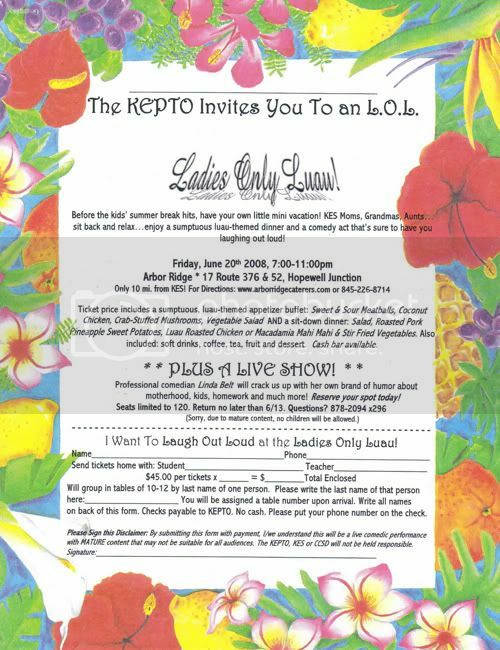 Check Davin out @: www.sidesplittingproductions.com Sisterhood’s Donor Dinner-public welcome but for the Ladies Only! Lunch and comedy for a group of pre school teachers who just got accredited after 3 years. 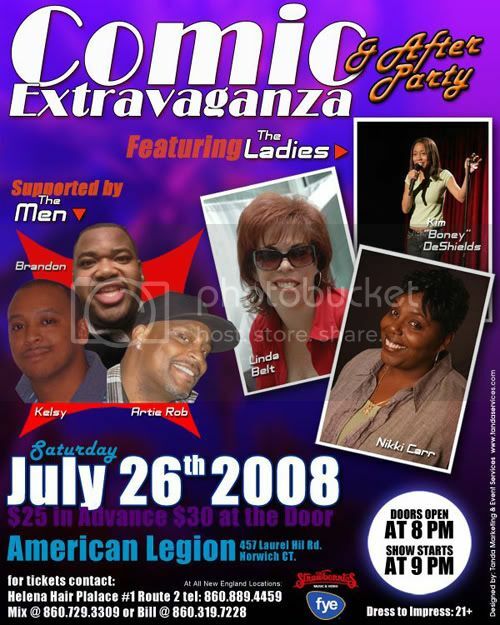 Sounds like a few laughs are needed! 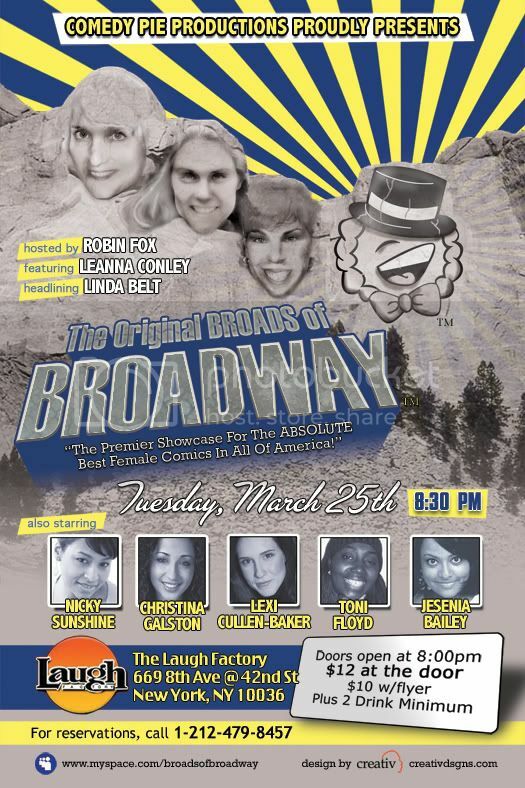 Laugh Factory/ Broads of Broadway-Headlining! 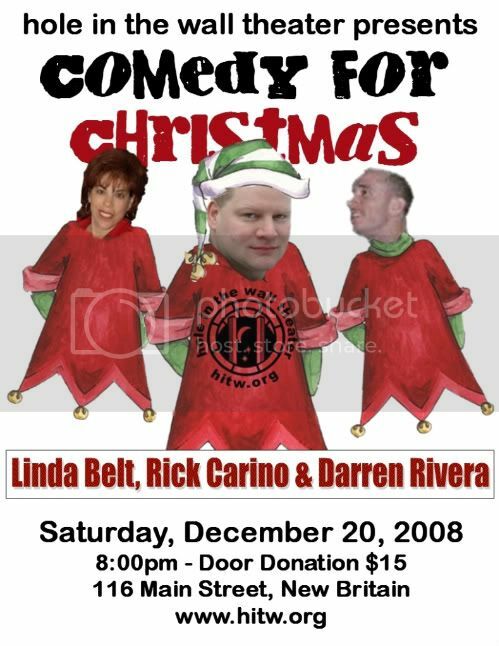 presented by Rent a Comic feturing Dave Andrews, Rob Steen and yours truly. 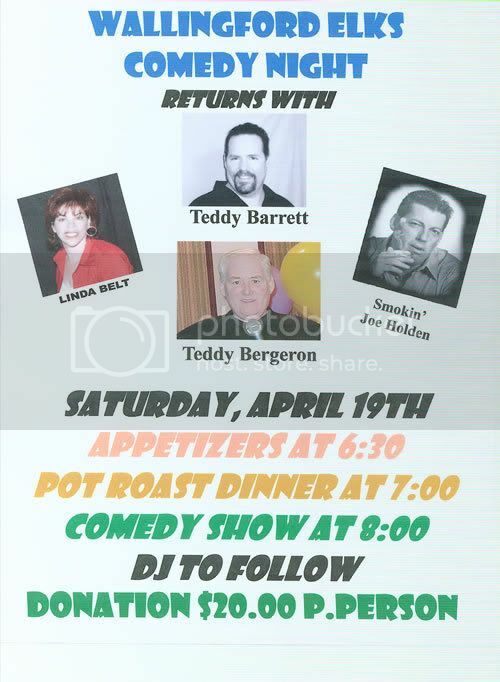 Hysterical Comedy presents "Inappropriate Behavior"
Canadian and international comics in weeklong event. 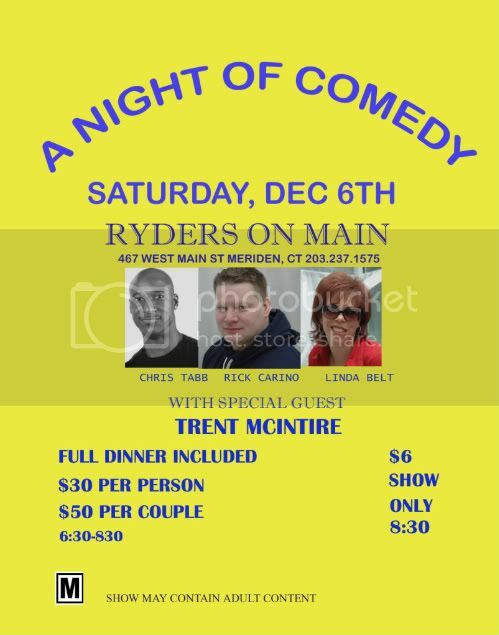 Elks Lodge-open to the public- advanced reservations req. 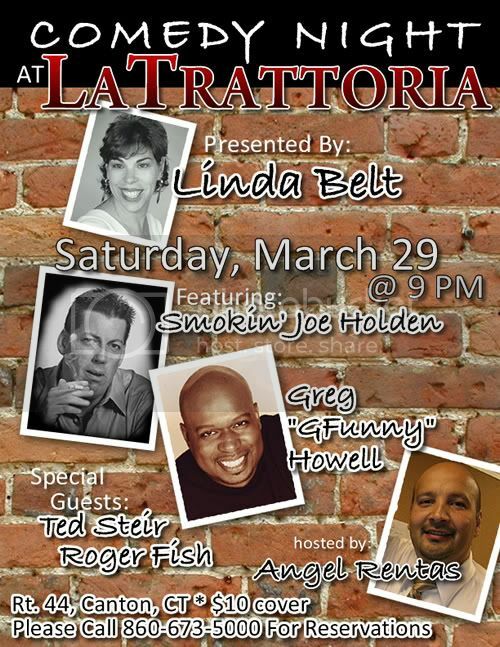 585-424-5233, 8:30 pm, Cost:$9.00 please check out the show link for more info. 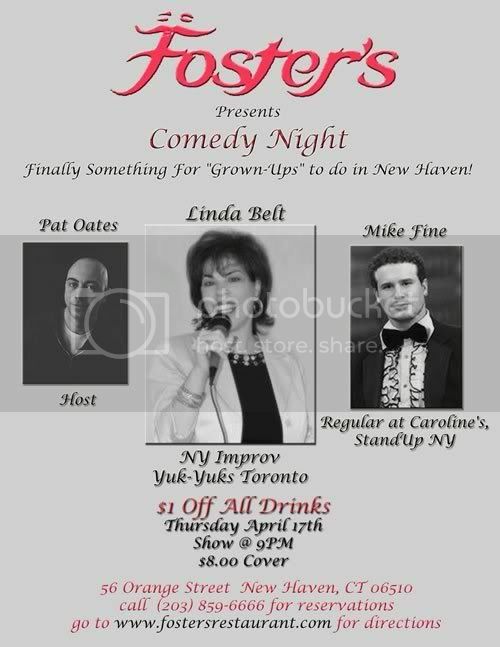 585-424-5233, 10:45 pm, Cost:$12.00 please check out the show link for more info. 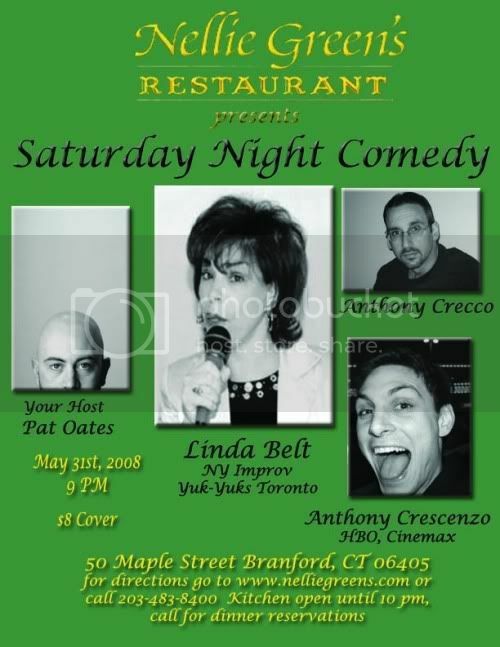 Friday night comedy showcase featuring 4 comics. 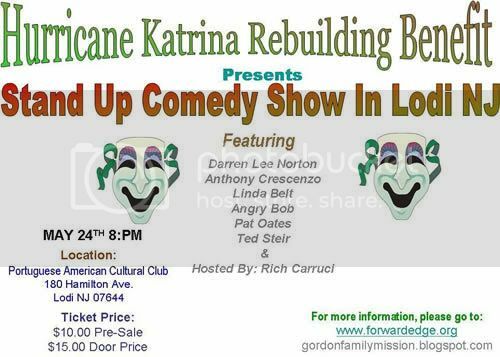 Huricane Katrine Rebuilding Benefit 180 Hamilton Ave Lodi , NJ 07644 Cost: 15 $10 advanced tickets. 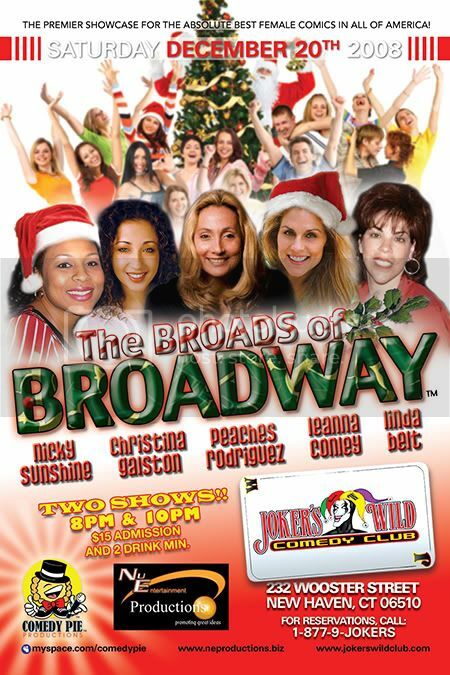 Broads of Broadway comes to CT! 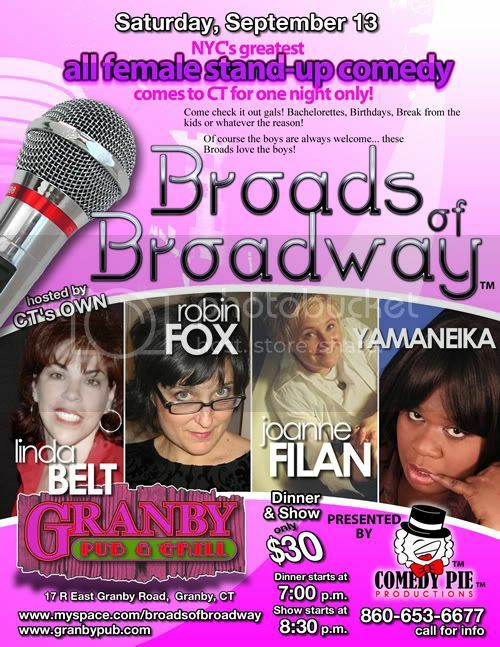 Joe Franklins Comedy Club at Charlie Os Restaurant 713 Eighth Ave on corner of West 45th Street New York , NY 10019 Cost: $ 20 cover Funny Enough For TV ! ! ! Clean Enough For Mom! ! ! ! With Dean Edwards from Saturday Night Live. 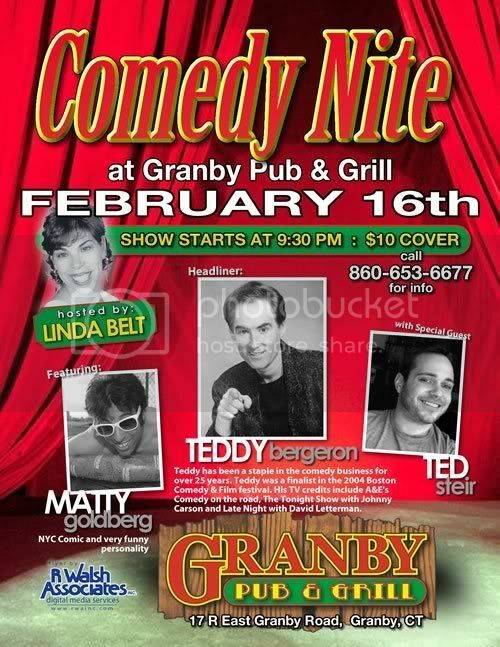 Fundraiser - Glastonbury Fire Dept. 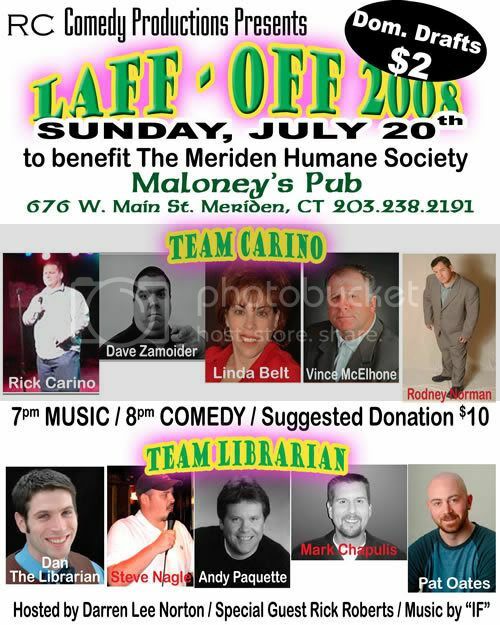 tickets avail in advance and at door.